Rob Spicer is a member, and former chair, of the firm's Securities and Corporate Governance practice. Rob has over three decades of experience in advising public and private companies on corporate law, corporate finance and a broad range of securities law matters. 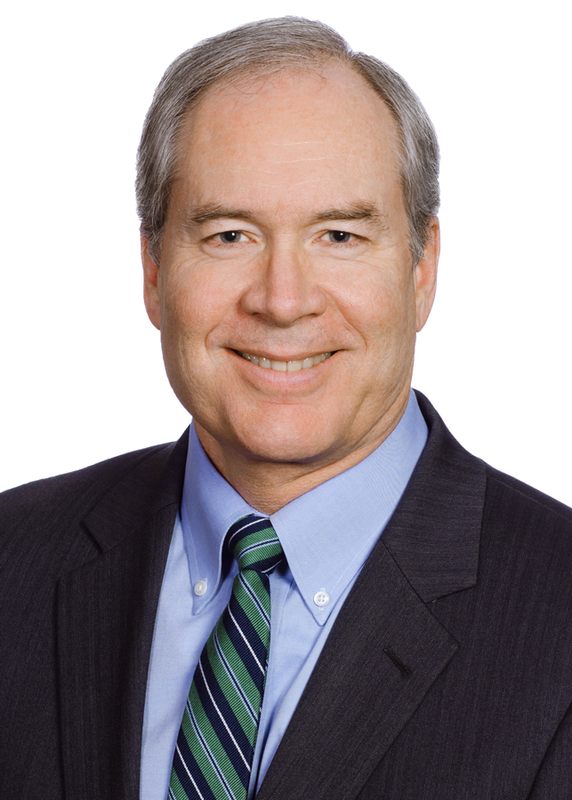 He has represented numerous public company clients from diverse industries, including banking, financial services, insurance, wireless telecommunications, real estate, manufacturing, automotive and retail. Rob’s extensive experience includes representation of clients on public and private offerings of debt and equity securities, mergers and acquisitions, reporting under the Securities Exchange Act of 1934 and stock exchange listing requirements. Rob Spicer is a member, and former chair, of the firm's Securities and Corporate Governance practice. Rob has over three decades of experience in advising public and private companies on corporate law, corporate finance and a broad range of securities law matters. He has represented numerous public company clients from diverse industries, including banking, financial services, insurance, wireless telecommunications, real estate, manufacturing, automotive and retail. Rob’s extensive experience includes representation of clients on public and private offerings of debt and equity securities, mergers and acquisitions, reporting under the Securities Exchange Act of 1934 and stock exchange listing requirements. He provides advice to clients on Delaware and Virginia corporate law, shareholder activism, anti-takeover defenses, fiduciary duties and related matters. He also provides advice on internal and external investigations and shareholder derivative suits. An important part of Rob’s practice is providing advice to corporate management, boards of directors and board committees on corporate governance requirements, best practices and emerging trends. Rob is committed to providing clients with timely and practical advice that takes into consideration the client’s business and unique culture. Rob is listed in The Best Lawyers in America© for Corporate Compliance Law (2018-present), and he has been listed in Virginia Super Lawyers magazine (2006-2014) for Securities & Corporate Finance and named among Virginia’s “Legal Elite” by Virginia Business magazine (2003, 2005-2008, 2010). Represented a real estate and financial services provider listed on the New York Stock Exchange in public offerings of 8,500,000, 2,012,500 and 1,495,000 shares of common stock. Represented a bank holding company listed on the Nasdaq Stock Market in the public offering of 3,450,000 shares of common stock. Represented an insurance and risk management company listed on the New York Stock Exchange in public offerings of 1,804,400 and 1,504,500 shares of common stock. Represented a global agricultural products supplier listed on the New York Stock Exchange in the public offering of 2,739,400 shares of common stock. Represented an international wireless telecommunications company listed on the Nasdaq Stock Market in the public offering of 3,583,000 shares of common stock. Represented an office furniture manufacturer listed on the Nasdaq Stock Market in its initial public offering of 1,955,000 shares of common stock. Represented a property and casualty insurance broker listed on the New York Stock Exchange in its initial public offering of 1,174,000 shares of common stock. Represented various community banks in public offerings of common stock. Represented closely held businesses in the private placement of equity securities. Represented an international wireless telecommunications company in private offerings of convertible notes in the amounts of $1.2 billion, $350 million, $300 million and $180 million. Represented a real estate and financial services company in private offerings of convertible senior debentures in the amounts of $125 million and $115 million. Represented two global companies listed on the New York Stock Exchange in connection with their commercial paper programs. Represented a private university in the sale of educational facilities revenue bonds in the amount of $119.7 million and the sale of taxable bonds in the amount of $100 million. Represented an insurance and risk management company listed on the New York Stock Exchange in its merger with a global brokerage, consulting and reinsurance firm in a transaction valued at $1.7 billion. Represented a real estate and financial services provider listed on the New York Stock Exchange in its acquisitions of subsidiary businesses in transactions valued at over $538 million and $248 million. Represented an insurance and risk management company listed on the New York Stock Exchange in its acquisitions of insurance intermediaries in transactions valued at $240 million and $94 million. Represented an issuer listed on the New York Stock Exchange in connection with the issuance of registered common stock to privately-held acquisition targets pursuant to a Form S-4 shelf registration statement. Served as local counsel to a global pharmaceutical company in its acquisition of a specialty pharmaceutical company in a transaction valued at over $2.4 billion. Served as co-counsel to a bank holding company listed on the Nasdaq Stock Market in its merger with a national financial institution in a transaction valued at over $2.3 billion. Who are your Section 16 officers?